Years and years ago in Persia, the king threw a great banquet. On the final day of the feast, he asked his queen to come and greet the guests. She refused, and he was furious at her disrespect and declared he would choose a new queen. All the women of the kingdom were brought before him, and he chose a beautiful young woman named Esther. They married and were happy together. What the king did not know was that Esther was Jewish. She was raised by her uncle Mordecai, a humble man who lived at the gates of the palace. The Jews were a minority, so she hid her origins from her husband. This became a problem because the King’s viceroy Haman (boo! hiss!) hated her uncle and, by extension, all the Jews. Haman (boo! hiss!) tricked the king into signing orders to kill all the Jews in the kingdom, not knowing he was signing a death warrant for his own beloved wife. Esther was terrified and didn’t know what to do. Her uncle asked her to talk to her husband, but she didn’t want to, afraid of what he would think of her. Her uncle begged for help, reminding her of where she came from, and she finally agreed. She threw a party for her husband to soften him up, and then invited him for a second party the next night along with Haman (boo! hiss!). And in the time between, the king heard through his record keeper about a time when Esther’s uncle had overheard and reported a plot to kill him which made him feel kindly towards the uncle, and the whole Jewish community. And so, when Esther revealed at the banquet that Haman (boo! hiss!) had tricked the king into agreeing to kill not just his own wife, but also an innocent man who had saved his life, the king was furious. In the end, Haman (boo! hiss!) himself was the one to be executed. Isn’t that a nice story? Do you see why we are having the kids celebrate it at my church today? It just makes me happy, very nice and springlike. And it works very well for an Indian film, the focus on family, the couple that falls in love after marriage, and of course the happy ending. So, ready for a re-write? Our heroine is the doted upon niece of an elderly chai wallah. She finished college and gets a job as a secretary in the same big office building where her uncle works. The young head of the company is a self-made man, he thinks he needs a fancy born to wealth woman to co-lead the company with him, so he is engaged to a difficult woman he doesn’t much like. 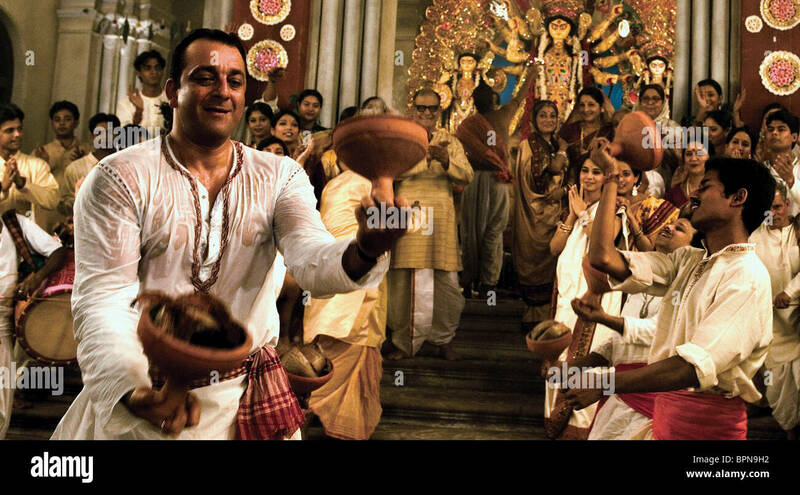 Sanjay Dutt as hero? Like in Parineeta? Our heroine messes up her first day at work, accidentally brings the wrong thing to an important client because of a language confusion. But the big boss steps in while she is being yelled at by his vice president (a business school type who thinks he is better than everyone) because he sympathizes and remembers what it was like when he was just getting started and struggling with language and other outsider-insider things. She gets a little hero-worship crush on him, and starts doing little extra things, staying late at the office and reminding him to eat when he forgets and stuff like that. He responds, because she is always there, he starts talking to her, telling her stories of back when he was young and struggling, opening up about his troubled childhood, and so on. But of course neither of them think of it going anywhere, he is so far above her and engaged and all that. The one person who encourages her and believes that she can have any man she wants is her sweet old uncle. He thinks she is beautiful and wonderful and perfect, and any man would fall in love with her of course. But she laughs off his comments, telling him that he doesn’t understand, the head of a company is never going to be interested in an average girl like her. Uncle is Irrfan Khan maybe? And then at the big important event for the company, when the overseas clients are coming, the fiancee doesn’t show up. He calls her, furious, she says she isn’t coming because she has a pimple. So he makes a decision, calls up his Vice President and tells him to bring in any possible woman he can find in the office to play his fiancee for the clients so they won’t be offended. The Vice President consciously avoids bringing in the heroine because he hates her. But luckily her uncle, the chai wallah, has overheard the conversation. He lies to her that the vice president has ordered her into the hero’s office, she shows up and the hero thinks she is the one sent to be his fiancee, and is secretly kind of thrilled. He thinks she understands what is happening, but of course she doesn’t, so when he starts giving her a dress and jewels and brings her downstairs to have dinner with him and the clients, she thinks it is a date. At the end of the night, she kisses him, and he realizes that there was a misunderstanding, and decides to go with it, and pulls out a diamond ring and asks her to marry him. They have an adorable small wedding, her uncle watches from a distance and doesn’t come. She told the hero she was an orphan (which is true) but didn’t tell him about her uncle, because her uncle told her not to, made her swear on him never to reveal the connection. He believes it would ruin her happiness if her husband knew the truly low origins she came from. 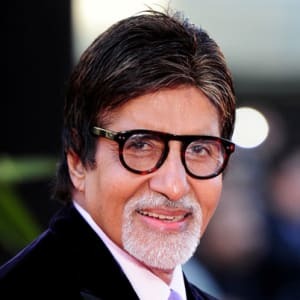 Or maybe Amitabh as the uncle? They are extremely happy after the marriage. She fires his snooty servants and insists on cooking his food herself. She helps him find a middle-line between his current global wealth world and his humble origins. She also encourages him to get more involved in charities, to get to know his employees better, to just generally be a better happier person. The one small secret she keeps from him is that she still visits her uncle regularly in the small apartment where she grew up. She brings him no money (he won’t take it from her, insists on still working at his same job), but she brings him food she cooked herself and tidies his house for him and generally is a good loving niece. There is one small moment of darkness in this perfect happiness. The hero runs afoul of some gangsters and they plan to kill him. The uncle is drinking in the same bar and overhears the plan. He calls his niece to warn her, she fakes a bad dream and begs her husband to stay home from work that day, which gives the uncle time to get the police and have the criminals arrested. The hero loves his wife more than ever now, thinking she has some mystical power to protect him. The wife wants to tell her husband the truth, at least now, but her uncle still insists on her not revealing their connection, or even that he was the one who warned the police. 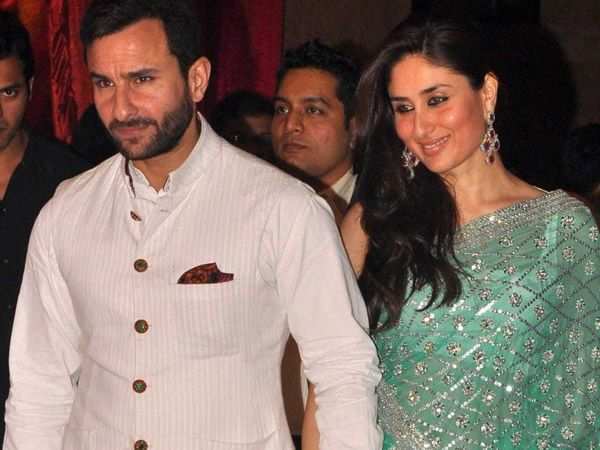 Maybe Saif as the hero and Kareena and the heroine? The vice president figures it out though. And he is thrilled, the woman he hates is secretly related to a lowly chai wallah and has been hiding it, she is nothing but a shameless golddigger, she and her uncle conspired to gather information to help her trick the hero into marriage. But again, the uncle figures out the plan and stops it, threatens the vice president in turn, points out that he is implicating himself, the hero believes he is the one who brought the heroine in to be his fiancee, who introduced him to his wonderful true love. And the vice president let him believe that, took the promotion, if he goes in now and says the heroine is a golddigger, that means either he was a fool to fall for the plan, or he was part of it himself, or he was lying to his boss. The vice president is trapped, and furious, partly because he is trapped and partly because he is trapped by a lowly chai wallah who can’t even read and that is humiliating. He starts planning his revenge. The vice president brings to the hero a plan for the location for their new headquarters. He talks big and fast and the hero doesn’t notice that he is talking about “deconstructing” the current buildings on the lot. The hero is feeling cheeky, so he agrees to throw lots (or “Purim”) for the date that demolition will start. The vice president is thrilled, he only has to wait 3 days and he will have his revenge. He is triumphant and evil when he tells the uncle. The uncle is heartbroken, and he goes home to find the whole community has received notices and is similarly shaken. All of these poor people in illegal dwellings were notified by announcement that they had 3 days to leave. The uncle rallies them, tells them that they won’t go anywhere, they just have to wait and have faith. They put on a protest and a demonstration outside the corporate offices, the hero doesn’t like the people out front and tells the vice president to “take care of it”, the vice president calls the police. Arjun Rampal as evil Vice President? Meanwhile, the heroine goes back to the old neighborhood to visit and finds her uncle gone and the house ransacked. She rescues an album of childhood photos and goes home. That night, she asks her husband to come for a special dinner, she has something to tell him. She asks him to be patient and listen to her, and then she tells the whole family story, starting with her great-grandfather who arrived in the city with nothing and built a house illegally because there was nowhere else to live, all the way through to her, all the photos of the house in the album. And then she says that she wanted this album because she wanted to add a photo, the first photo of their baby who will be born soon, in the same house where every generation of her family has been photographed. And at that point, when the hero is putty in her hands, she says that she can’t add that photo because his company is tearing down her family home. And right now, her own uncle, the chai wallah, is in jail on his orders. The hero is furious! Even more so when he goes to the police and learns that it was her uncle who gave the information that saved his life. In a final denouement, he calls the vice president into his office and asks him what he thinks should be the honor given to the man who saved his company. The vice president says he thinks he should have a whole ceremony in his honor in front of the whole company (thinking it is about himself). And then the hero asks him what he thinks should happen to a liar who endangered the whole company with deceit about who they really where, and the vice president says that person should be thrown out of the company and shamed (thinking it is about the chai wallah). And then the hero reveals the truth, shames him and throws him out, and surprises the chai wallah (who thinks he is about to be punished), by praising him in front of the whole company. And recognizing him as his in-law. Happy ending, the hero and the heroine bring their baby back to the old neighborhood for the baptism (I’ve decided she is low caste Christian). What do you think? Any changes needed to the story? Or would setting it in Telugu be better, since it has a classic Vijay-hero, Prakash Raj-uncle, and Samantha/Kajal/Sai Pallavi heroine kind of plot? Could do Malayalam too, set the whole thing in Kochi, and have hot Prithviraj be our self-made millionaire? This entry was posted in Uncategorized and tagged Purim, Silly Sunday by mredlich21. Bookmark the permalink. Could Johny Lever be the uncle, in Chalte Chalte mode? Or am I crazy? Crazy, CRAZY!!!! Who would let Jonny Lever raise a baby?